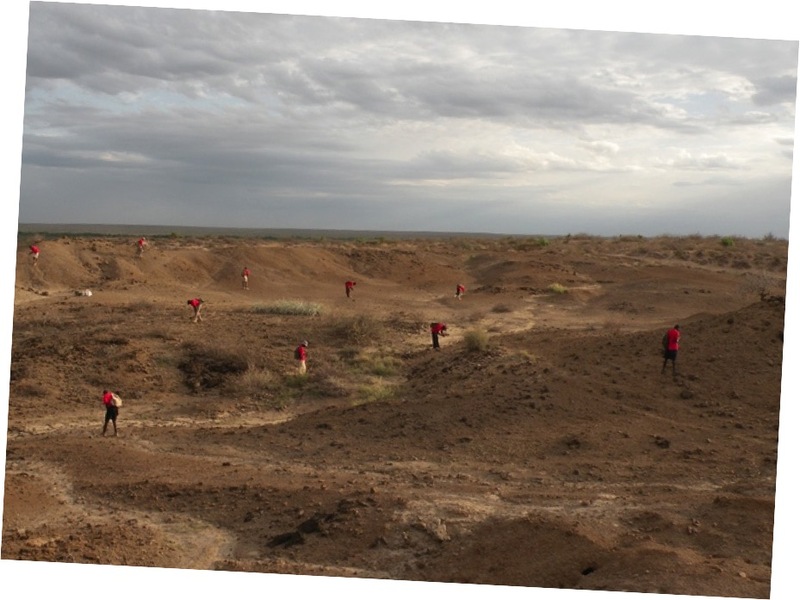 The team walk across the fossil exposures looking for fossil fragments on the surface. 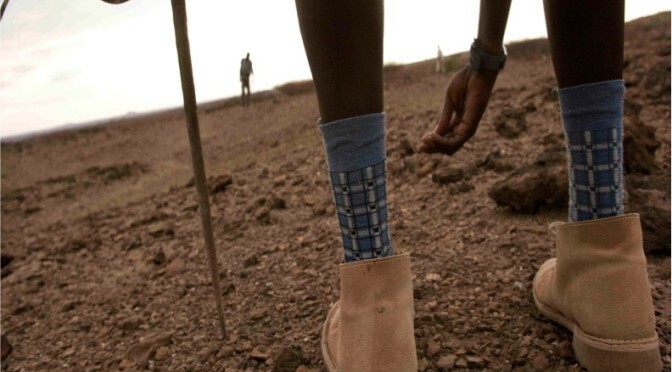 The team walk over the fossil exposures looking for fossil fragments and geological indicators, similar to the way that you can search for identifiable objects in the images on fOssilfinder. The fossil hunters have the added advantage of being able to pick up a specimen and turn it over to get a better look at it which can be most helpful in its identification. If a specimen is collected then it is essential that its exact position is recorded. Fossils should not be moved out of context. 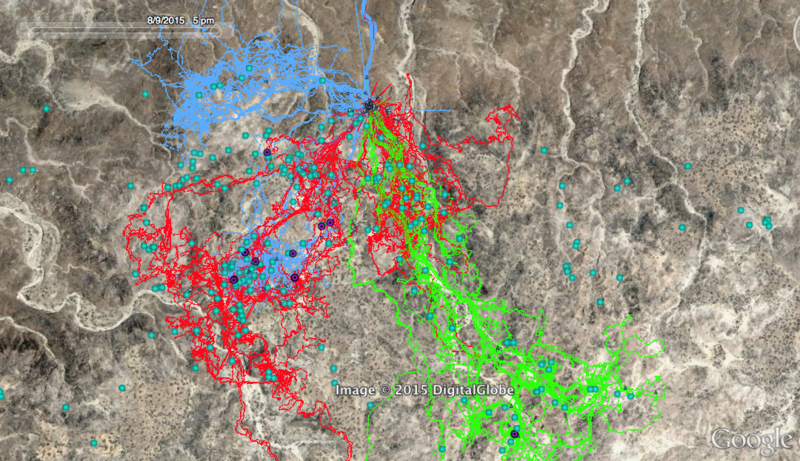 These coloured tracks on the Google image, mark the ground covered by the team over one week. 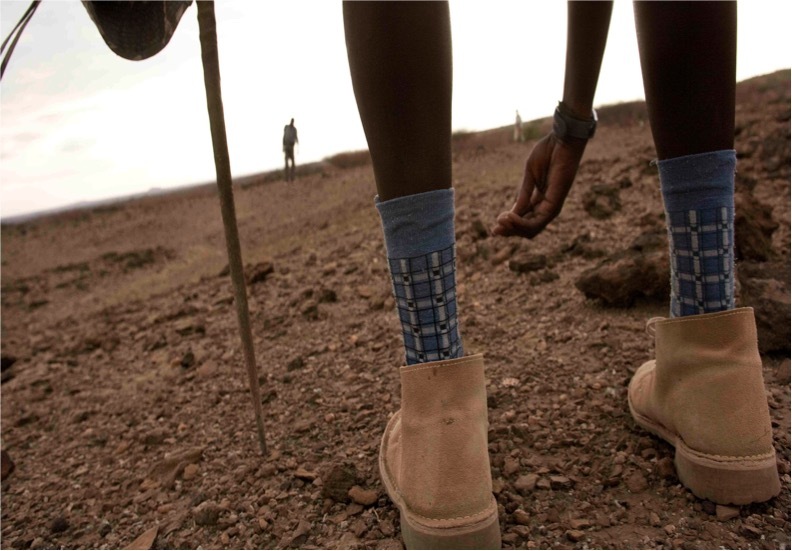 These tracks are a useful indication of which areas need to be further covered. When a discovery is made by a member of the team, a GPS position is taken as well as a digital photograph and some basic notes about the find. 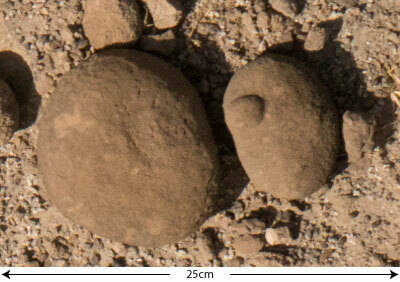 It is also given a unique field number, which is written on the fossil and on a small stone beside this so that the number is visible in the photograph for the database. 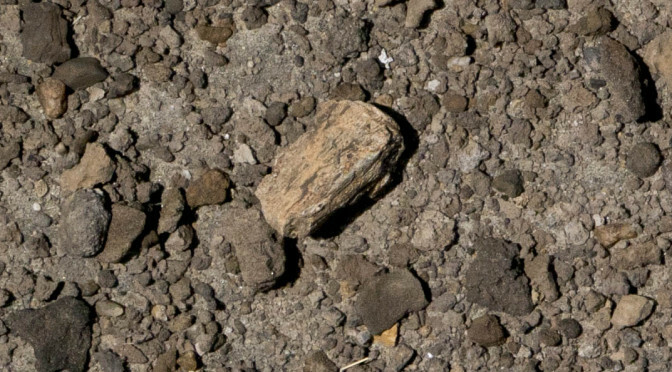 You find many fossil fragments and artifacts on the surface, some of which are taken out of context as they are found in a dry stream bed or have been eroded out of sediments from above that have since washed away. It could therefore be a younger age than that of the deposits that it is sitting on. 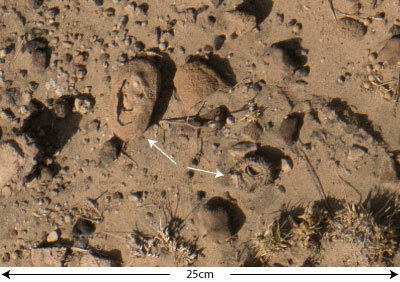 Ideally we want to discover a fossil that is in its original context and excavate this carefully to recover it. 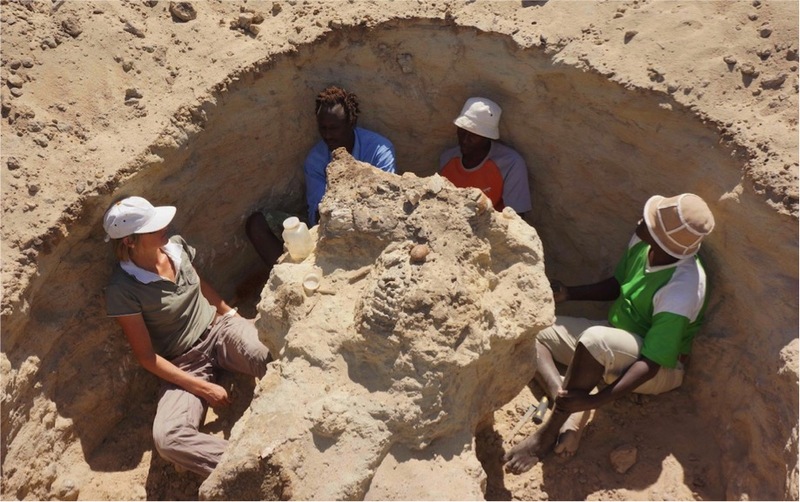 This is an image of the excavation of a large and complete elephant skull. This discovery of an elephant skull was made by spotting the teeth that were visible on the surface but after excavation the enormous skull was exposed. This was eventually jacketed in Plaster of Paris and lifted safely into the back of a car. You can see a video of this here. Once an important discovery is made, it is collected by the team, following strict procedures. Detailed notes are made about the surrounding sediment and rocks. We are interested to know if there are any nearby sandstones, what texture these sandstones are (coarse grained, fine grained, laminated, bioturbated etc.). 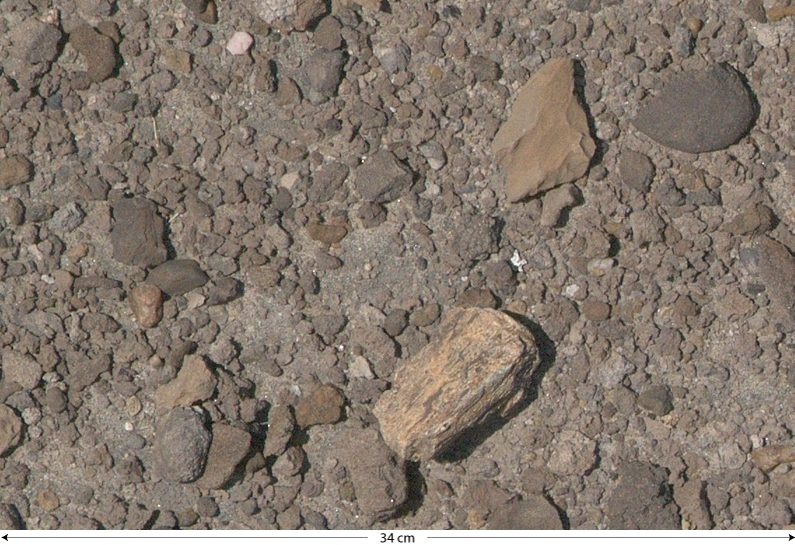 We also document the presence of root-casts, rhizoliths, calcrete and quartz pebbles. These are good indicators of palaeoenvironment. We are interested in the presence of snails, fragments of fossil turtle, fish or crocodile, and also the type and colour of the substrate (if it is a silt or a clay, sand or a volcanic ash). These are some of the characteristics that we describe during collection of a specimen. We are hoping that you we can replicate this skill by training new eyes in finding fossils and other interesting features in these images.